NBNERR staff contributed to the development of the Climate Change Vulnerability Assessment Tool for Coastal Habitats (CCVATCH), which is designed to use an expert elicitation process to evaluate the relative vulnerability of assessed habitats to a changing climate. 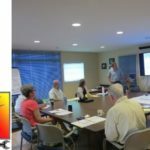 Currently, four New England reserves are applying the tool for use in local restoration/adaptation planning and assessment of regional climate change impacts. For more information visit www.ccvatch.com. NBNERR and NOAA’s Office of Coastal Management staff are developing a detailed map of Rhode Island’s salt marsh. 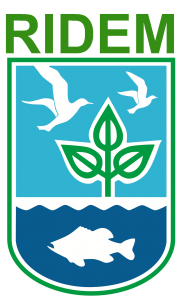 This baseline map will serve as a resource for individuals and agencies engaged in coastal wetland restoration and coastal resiliency planning. 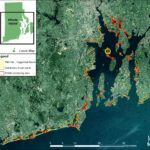 Repeat mapping will capture rate of change and provide a more broad-scale understanding of vegetation transitions that are currently being detected throughout RI’s salt marsh vegetation communities. Reserve staff often collaborate with other Reserves in the system as well as local, regional, or national partner agencies to address specific needs identified at a variety of scales. Generally this involves the development of tools and products to support coastal management.